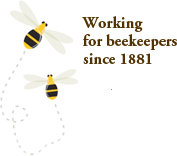 The mandate of the Ontario Bee Breeders’ Association (OBBA) is to encourage and support Ontario beekeepers in their production of high quality queens, queen cells and nucs through education and practical support. Members of the OBBA involved in the Ontario Resistant Honey Bee Selection Program administered by the Technology Transfer Program and supported by the Ontario Ministry of Agriculture, Food and Rural Affairs) annually select, test & breed for mite-resistant stock, as well as other beneficial characteristics. Several bee breeders have been selecting their stock for resistance traits since 1992. Being a part of a bee breeding program requires dedication, diligence, financial input, time and labour. Selecting bees for resistance traits within the ORHBS Program necessitates teamwork between the bee breeders of Ontario and the Tech-Transfer Program. This list of participants provides you with the current honey bee breeders active in the ORHBS Breeding program. This list of OBBA members are those who are involved in the bee breeding industry. The mandate of the Ontario Bee Breeders' Association (OBBA) is to encourage and support Ontario beekeepers in their production of high quality queens, queen cells and nucs through education and practical support. Buyer Awareness! Know what you can expect, what questions you need to ask and what to watch out for! Download the Nuc Buyers Guide [PDF] for information regarding the purchase of nucs in Ontario. Anyone who sells bees, queens or queen cells are required to obtain permits from apiary inspectors. Please refer to the OMAFRA website Ontario Honeybee Queen, Nucleus and Colony Producers to confirm the seller's permit status. These permits are valid until the end of June in the following season. A small sticker with the permit number must accompany each shipment. Producers are permitted to use stock only from locations free of AFB. For more information regarding disease and pest control, refer to the 2014 Ontario Treatment Recommendations for Honey Bee Disease and Mite Control.